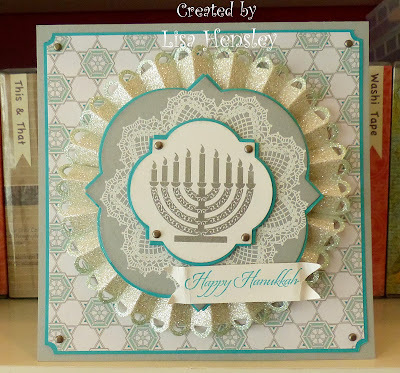 The Shabby Stamper: Happy Hanukkah! I've been working this card up since Thanksgiving for my Jewish friends. It's very oversized -- 7 3/4" x 7 3/4" -- and looks more complicated than it really is. Both the menorah and the doily are embossed.